A linha de maquilhagem Zao é 100% natural e enriquecida com ingredientes biológicos; utiliza embalagens em bambu com um design moderno e elegante, protegidas por uma bolsa em algodão. Graças a um sistema fácil e inovador, a maior parte dos produtos Zao são recarregáveis. Pode dar asas à sua criatividade experimentando diversas cores de forma divertida e económica. Além de reduzir os custos e o fabrico de embalagens, o sistema Zao também lhe permite mudar facilmente as cores para que combinem com o seu estado de espírito. Os produtos Zao respeitam a sua pele e o planeta e não foram testados em animais. Todos os pós são isentos de talco. Deixe-se seduzir pelas cores e texturas luminosas que aliam o conforto à longa duração. ZAO has developed 100% natural formulas enriched with active organic ingredients. Let yourself be seduced by luminous colours and textures combining comfort and long lasting hold. An innovative product presented in a modern and botanical material: bamboo. Innovating and natural, this organic certified make-up line uses a natural packaging, made with bamboo (for its elegance and modernity) in a classy pouch for a long lasting life. Thanks to an easy and inventive system, most of our products are refillable and sustainable. You can free your creativity by trying our numerous colours in a playing and economical way. Besides reducing of costs and packaging induced by our system, it also lets try and rotate very easily all the colors that match your desires. Nothing is easier! All you need is several refills to give free rein to your creativity. 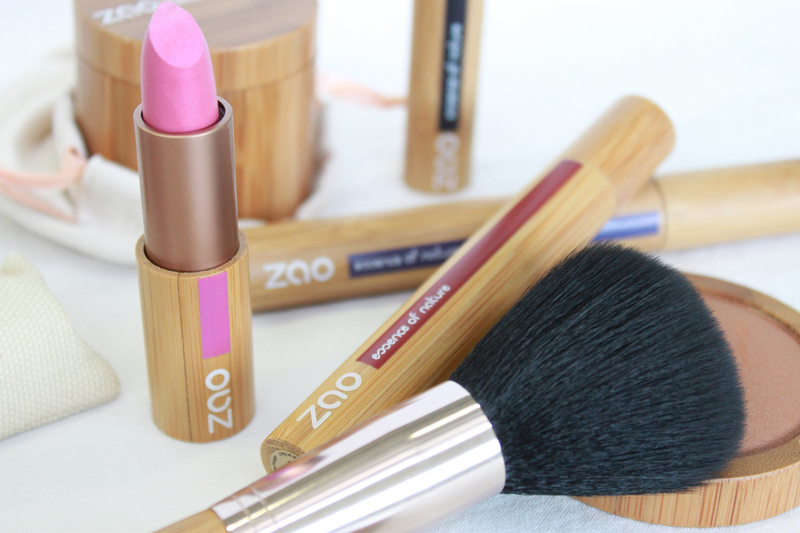 Zao products respect your skin and the planet and are not tested on animals. All Zao’s powders are talc free.